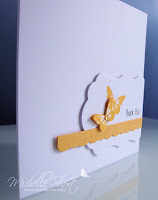 So I am quite besotted with the Butterfly Wishes set from Cleary Besotted Stamps. The sentiment is from the Happy Everything set. 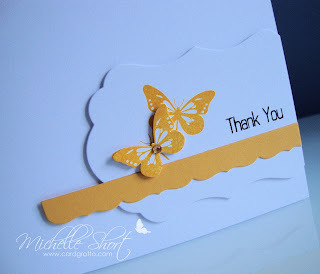 Don't these butterflies look beautiful in PTI's Summer Sunrise? So far away from the weather here in the UK right now and so summery! they really do look gorgeous in that colour Michelle. A beautiful card to brighten up what's looking like a pretty dull day weather wise! 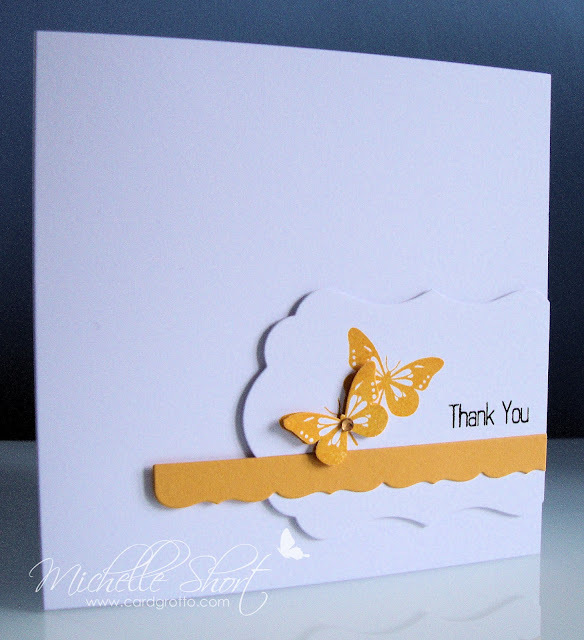 A beautiful card Michelle and so different.